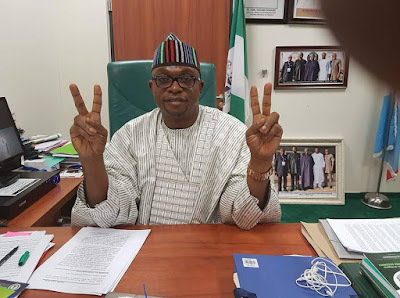 In keeping in line with his campaign promises, the proactive and effective Lawmaker representing Makurdi/Guma Federal Constituency of Benue State in a short while (less than two years at the NASS) has secured employment for eleven (11) of his constituents in the MDAs, Military, Police and the Para-military. He has moved four (4) very important motions on the floor of the hallowed chambers and sponsored eight (8) Bills of national importance, all of which have passed first reading and are at various stages of legislative activity. Hon.Tarkighir also has to his credit a total of fifteen (15) projects in the 2016 budget for his constituency. The highest by any legislator from Benue State. 1.Provision of Solar Powered Street Light at Abinsi Town, Guma LGA. 2.Provision of Solar Powered Street in Makurdi LGA. 3.Youth Empowerment Scheme: Sewing machines, cassava processing machines, grinding machines, computer laptops, farm spraying machines, welding machines, water pumping machines in Makurdi LGA. 4.Construction of Abinsi Township roads, Guma LGA. 5.Construction of Solar Borehole at Ter Guma street, North Bank, Makurdi LGA. 6.Training of market participants (farmer groups, cooperatives, licenced seed companies, commodity brokers and processors) on the use of trading system in Makurdi/Guma Federal Constituency of Benue State. (Coming soon). 7.Purchase of 4 NOS Buses and 100 units of motorcycles for rural community intervention in Makurdi/Guma LGAs. 9.Health medical outreach: HIV Awareness campaign/free medical outreach in Makurdi/Guma LGAs. 10.Empowerment for women and youths: Tricycles, motorbikes, grinding machines, sewing machines in Makurdi/Guma LGAs. 11.Construction of Town Hall at Abinsi, Guma LGA. 12.Completion of Akaakuma Dam, Guma LGA. 13.Construction of a three (3) classroom block at LGEA Primary School Ngban, Nyiev, Guma LGA. 14.Construction of Skills Acquisition Centre (Type A) at High Level, Makurdi LGA. 15.Building of Divisional Police Officer's Quarters in Gbajimba, Headquarters, Guma LGA. Hon.Dickson Tarkighir done his part. We now await the Executive to also do their own part by ensuring the projects are fully executed. Keep the good work up. Do not be distracted. Do not relent because you are indeed giving hope to the dreams of your constituents. CHOOMBU, Allen - SLA to Hon. Dickson Tarkighir.